SEO can be very hard when this is not the case. I regularly speak with businesses who want to send me “the 10-15 keywords that matter to the business.” There is an understanding in the online world that SEO is a zero-sum game, which means that if you do not rank #1 for a small number of keywords that can drive qualified traffic then you are not going to succeed online. While the first two above definitely matter to search (because you need to build a brand and organic clickthrough rates are changing quickly), I want to talk about the third because it is the most directly correlated to how you think about SEO and “how many keywords should I try to rank for” questions. Let’s first look at a few examples of how many keywords different types of sites rank for, and then we will talk about how to think about the keywords you rank for. How many keywords do sites rank for? I chose these websites because I am familiar with many of them, and they represent a wide range of sites from a local restaurant to one of the largest sites online. 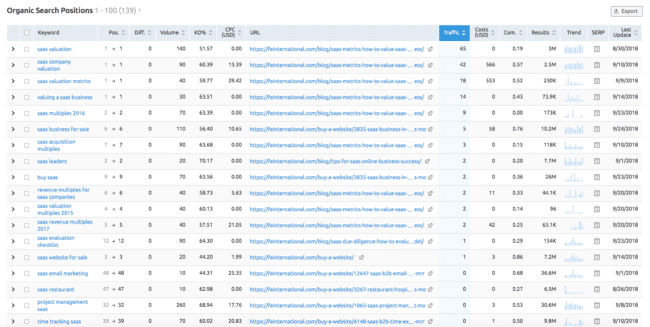 For each I am going to show their SEMrush report on how many keywords they rank for, and a site: search of how many pages Google says they have indexed. 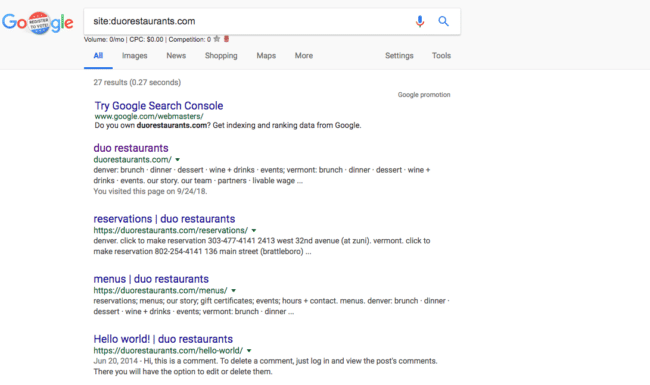 The first site we will look at is Duo Restaurants (duorestaurants.com), a well-rated restaurant located in NW Denver in the Highlands neighborhood. It also happens to be one of my favorite restaurants. Duo hasn’t done much SEO at all, given that they still have their “Hello world!” default WordPress blog post on their site and indexed after 4 years. 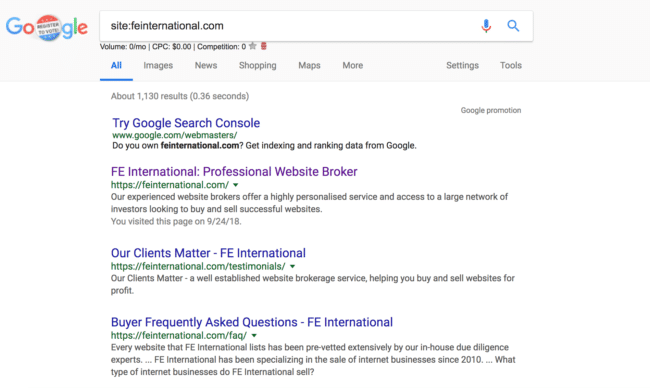 This does show you, though, the power of branding and also that even a local restaurant site that is not actively working on SEO can rank for hundreds of keywords. 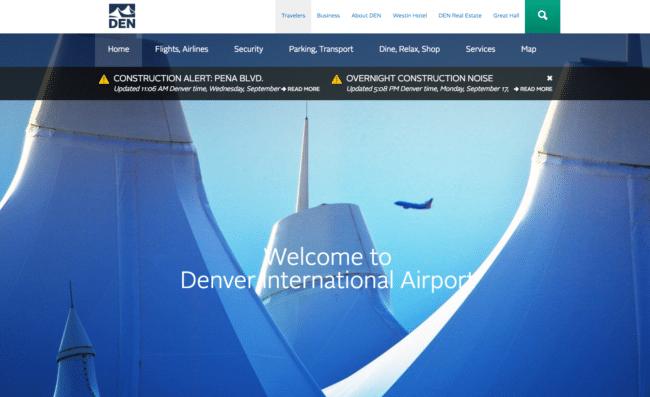 Denver International Airport (flydenver.com) is my home airport. 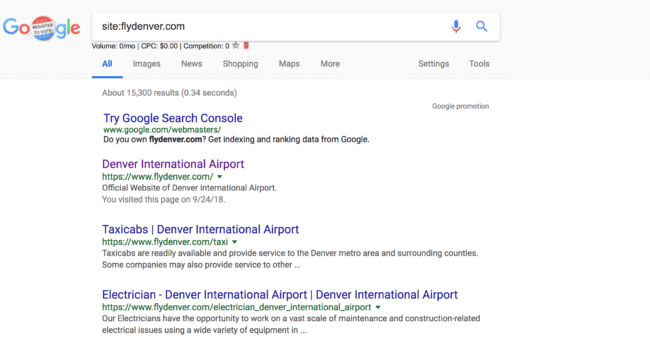 You might be thinking, “SEO for an airport? Seriously?”. I consider airport websites to be more informational than transactional sites, as you can’t really book anything through them. Instead you are probably researching airlines/flights and terminals, restaurants, and frequently asked questions around travel specific to that airport like Global Entry or rental cars. Many of these keywords include the airport name (DIA or DEN), though there are some keywords that seem to be locally-relevant such as “car rental” or “einstein bagels”. 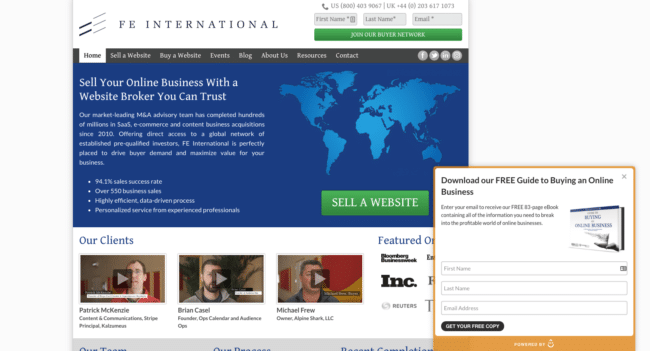 FE International (feinternational.com) is a professional website broker headquartered in London and Boston. They’re a very B2B business that helps business owners, mainly SaaS and ecommerce, sell their business for a good price. Creative Market is a design assets marketplace that allows independent creators to sell their work to other designers. According to SEMrush’s database, they rank for ~353,000 keywords. They have ~1.4 million URLs in Google’s index currently (from a site: search) and unfortunately no easy way to know how many products based off their URL structure. Zillow (full disclosure: I worked for Zillow Group for 2 years though never on Zillow.com directly) is the largest real estate media site online. They list houses and other types of residences for sale and rent primarily. How many keywords should you try to rank for? As you can tell from the above, the number of keywords you should try to rank for depends on your vertical, the search volume available, and where you can build the pages and provide the value that deserves to rank for that keyword. There is no magic number of keywords that you should try to rank for, and rarely are there 5-10 keywords that only matter towards your business. That is a circa 2006-2009 SEO mindset. 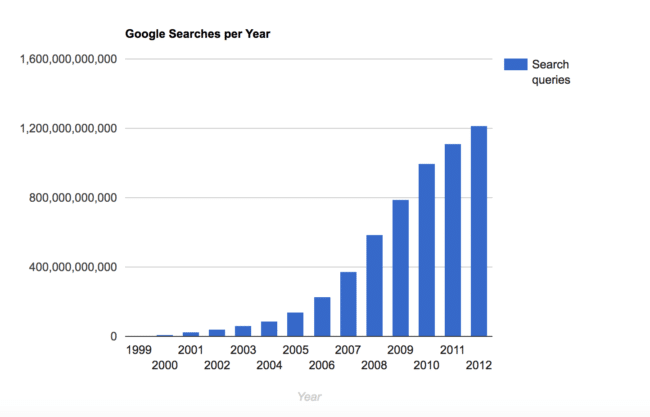 In the years since, search has exploded and the number of queries increases every minute. All this is to say: search is huge. Every industry is different as well, which should go without saying. 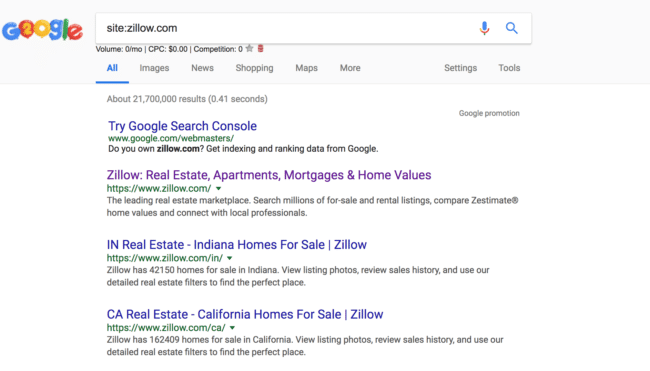 Zillow has tens of millions of addresses on their site, plus all of their category pages, so they necessarily have more keywords for which they rank. But if you still collapse it down and say that “[city] homes for sale]” keywords are the only ones that matter, you miss out on a HUGE section of their traffic (addresses!). Knowing Thomas, he’d say yes. This underscores the point well, I think. Transactional keywords are keywords/phrases that have high purchase intent. They often have words like “buy” or “sell” or even “best” or “top” within the query, though those last two are a bit more research-oriented than the first two. They are at least in the middle of the consideration funnel. In Zillow’s case, “san francisco homes for sale” is a transactional keyword. Informational keywords are keywords/phrases that are meant to educate. They are high in the marketing funnel and bring people who may one day potentially be interested in what you have to offer. They’re learning and educating themselves and doing research. This is where a lot of your organic traffic will likely come from, and you need to convert them in different ways (email lists, etc) than a purchase/form contact for a quote/demo. At the end of the day, the quality of your research drives the quality of your strategy. If you only focus on transactional or informational, then you are missing a large part of the puzzle and leaving your business at risk. I do not believe that search is a zero sum game, but if your traffic and business are hinging on 2-3 main keywords then you’re going to be in trouble when the search engines change their results layout or add more ads to your three search results that you are trying to dominate. Thus, limiting yourself to just a few keywords that you care about is not recommended. Instead, you should constantly be looking to expand your pool of keywords for which you rank. First identify the main transactional keywords and work to rank those through great onsite targeting, technical SEO, and high quality link acquisition through great promotion. Then identify the informational keywords and questions that your customers are asking and meet those needs with in-depth content that satisfies their intention. Have a way for them to learn more so that you can capture their email address and keep in contact with them. I hope this helps clear up how you should think about the keywords that you are targeting or wanting to rank for to move your traffic and business forward. We have to move beyond the old idea of a few keywords that matter to a business, and instead think about transactional and informational keywords so that we can target our potential customers across the funnel and build our businesses longterm.